Versa Note 0 in stock. Rogue Sport 18 in stock. NV Cargo 27 in stock. NV Passenger 0 in stock. Titan XD 2 in stock. Mike was phenomenal! He really took the time to listen to me and help find the car that would work with me & my budget! For my first car buying experience he made it as easy as possible! Service at this dealership has always been top notch. Rob and now Bruce are on top of their trade, make good sound recommendations and keep your car running. As a "PS" - car in question is a 16 year old 2003 Nissan Murano that has ONLY been serviced at (originally) Knight's Nissan, then successive owners of this Nissan dealership, with the exception of being serviced at Getel Nissan in Sarasota Florida when it made the trips back and forth there. 99,500 miles and pretty much showroom new. Minimal investments in service and parts as needed and recommended have resulted in this cars longevity. Thanks to this crew ! Find the VIP customer service you deserve at Speedcraft Nissan in West Warwick, RI. Here you will find an incredible selection of Nissan products and a team of experts to help you at every step of the way. Truly, our easy, no-nonsense shopping process can’t be beat. From the paperwork to the financing, we make everything simple and seamless. We are proud to be Rhode Island owned and operated and carry all of the newest vehicles from Nissan, including the Rogue, Altima, Maxima and Murano. For even more great vehicle options, be sure to browse our complete selection of used and Nissan Certified Pre-Owned vehicles. In addition to our wide inventory, Speedcraft Nissan is also home to a dedicated service department for all your vehicle repair and maintenance needs. 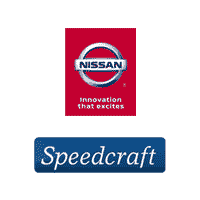 We invite you to experience the Speedcraft Nissan difference today! You can browse our complete inventory or stop by and see all that we have to offer in person. From all of us at Speedcraft Nissan, we look forward to meeting you!